They started as a busking band in South Germany and soon shared stages with artists like Shantel, Emir Kusturica and other greats of the Balkan-Beat movement. Since that time the quintet Äl Jawala (Arab. “the travellers”) achieved a great reputation all over Europe as an awesome live band. They combine traditional Balkan tunes with urban club-culture and share it out to their audience with electrifying energy! In 2007 they were awarded by the German Creole Award for Worldmusic. A listener in Romania described their music as “German Quality, Balkan Soul.“ Eastern Brass meets roots percussions, Bellydance goes Rock 'n' Roll and their didgeridoo sounds like an Acid-Trance machine! Äl Jawala's unique mash-up sounds are transcending all folklore clichés and generously ignore any limitations of genre and purity! Äl Jawala are filling the dancefloors and thereby keep a rich diversity and great musical depth! 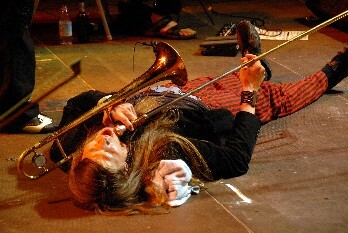 The typical virtuoso Balkan horns section of two saxophones is the foundation of Äl Jawala's sound. Those folkloristic Eastern roots get widened with dance-beats, synth-bass, but also strong colours of Ska and Reggae. You can explore the broad spectrum of the band best, when, in their intro, the musicians enter the crowd as a walking act, carrying portable street-amplifiers and then climb up the stage to unfold the full energy of the uncompromising Äl-Jawala-Sound backed up by a firework of drums, percussion and didgeridoo! Watch the brand new albumtrailer @ Youtube.com! 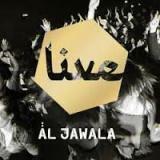 Thanks to the distributor Soulfire Artists we are able to raffle off several 'Äl Jawala Live' CD's. "Music from a Small Island"
Simon Mayor (*5 October 1953, Britain). With his solo debut "The Mandolin Album" in 1990, Simon Mayor embarked on a series of recordings with the aim of giving the mandolin a uniquely British voice, mixing original and traditional material alongside classical pieces . Simon Mayor tours regularly with his quartet The Mandolinquents and long-time partner Hilary James. 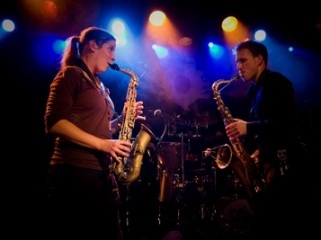 The duo has worked extensively with young people in theatres and schools, and have written over fifty children's songs. Dolores Keane (*26 September 1953, Sylane, Co. Galway, Ireland). The Irish folk singer is known the world-over for her deep, yet melodic voice. Dolores Keane was raised by her aunts Rita and Sarah Keane, who were well-known sean-nós singers. She made her first recording for Radio Éireann in 1958, at the age of five. In 1975, she co-founded the traditional Irish band De Dannan. The group enjoyed major success. In 1977, Dolores married musician John Faulkner and has since embarked on a very successful solo career. In 1992, she was among the female Irish singers to lend their music to the record-smashing anthology "A Woman's Heart". Dafydd Iwan (*24 Aug 1943, Brynaman, Carmarthenshire, Wales). The Welsh singer and politician rose to fame as a singer-songwriter, writing and playing folk music in the Welsh language. His earliest material was Welsh translations of tunes by American Protest singers such as Woody Guthrie, Pete Seeger and Bob Dylan. 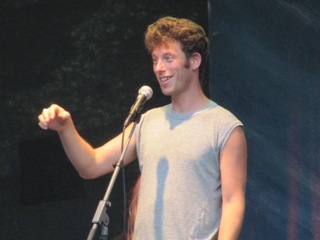 Soon Dafydd Iwan began writing his own songs, many of them political. By the late 1960s he was receiving TV coverage for both his musical and political activities, including being imprisoned in 1970 as part of the fight for Welsh language rights. He was one of the founders of Sain Records which he still manages today. From 2003 to 2010 he was the president of Plaid Cymru (The Party of Wales), advocating the establishment of an independent Welsh state. John Faulkner (*7 Aug 1943, London). The singer, songwriter and guitarist grew up in London. From working with Ewan MacColl and Peggy Seeger in the mid 1960s John Faulkner gained a deep understanding of traditional music from Britain and Ireland. In 1980, he and traditional singer Dolores Keane moved to Ireland and made Galway their base. Both toured extensively and recorded several albums together. Donnie Munro (*2 Aug 1953, Uig, Isle of Skye, Scotland). A native speaker of Scottish Gaelic, much of Donnie Munro's work is in that language. In 1973 he saw a local band called "Run-Rig" and was asked to become the singer of the band. In 1982, Runrig turned professional and became one of Scotland's most popular acts. 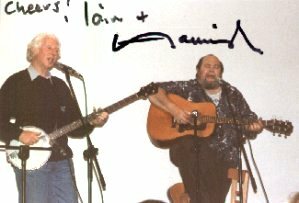 Munro became established as the leading Gaelic popular music performer of the 1980s and 1990s. In 1997 he left Runrig to stand (unsucessfully) for the Parliamentary seat of Ross, Skye and Inverness West for the Labour Party. He now enjoys a successful solo career. 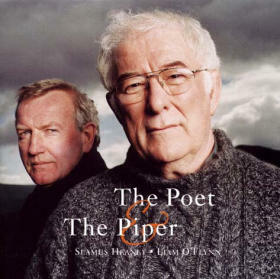 "The Poet & The Piper"
Seamus Heaney has just died at 74. Some real talent, had that man. Here is my favourite poem of his. There are plenty of YouTube postings of him reading it in his own inimitable way, but I have declined to consider them for this item. Instead I have chosen someone else reading the poem, because the visuals are so good. The voice seems hugely familiar, but I just cannot put a name to it. Willie Dunn (1941-2013). Of mixed Mi'kmaq and Scottish-Irish background, singer, acoustic guitarist and film maker William Lawrence Dunn often highlighted aboriginal issues in his work. He also recorded his settings of Shakespeare, Eliot and Melville. Tomás Ó Canainn (1930-2013). A true Renaissance man, fluent in several languages, a writer, musician (uilleann pipes, accordion) and storyteller: Tomás Ó Canainn was born on the outskirts of Derry and moved to Cork after completing a PhD in Liverpool. He was Dean of Engineering at University College Cork and also taught music, taking over the lecturing duties from Seán Ó Riada in 1971. 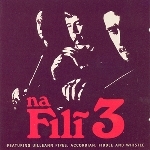 He co-founded the group "Na Fili" with fiddler Matt Cranitch and whistle player Tom Barry and they recorded three albums together. Tomás Ó Canainn passed away on 13th September in Cork. JJ Cale (1938-2013). The legendary singer/songwriter was one of the originators of the laid back Tulsa Sound, drawing on blues, rockabilly, country and jazz influences. JJ Cale's best known songs have been covered by other musicians, including "After Midnight" and "Cocaine" by Eric Clapton, and "Call Me the Breeze" by Lynyrd Skynyrd. Toshi-Aline Ohta Seeger (1922-2013). Besides being the bedrock in her husband’s long and successful career, whom she married in 1943, folk music legend Pete Seeger, Ohta Seeger was an activist and organizer in her own right, playing a key role for Clearwater's Great Hudson River Revival. M.D. Yunupingu (1956-2013). He was the first Aboriginal person from Arnhem Land to gain a university degree. In 1989 he became assistant principal of the Yirrkala Community School and introduced the Both Ways system, which recognised traditional Aboriginal teaching alongside Western methods. From 1986 he was the singer and guitarist of the Aboriginal rock group Yothu Yindi, which fused traditional indigenous music and dance with Western popular music. Éamon de Buitléar (1930-2013). The Irish writer, musician and film maker was involved with Seán Ó Riada in the establishment of the traditional music group Ceoltóirí Chualann (1960-1969). For many years de Buitléar produced wildlife programmes for RTÉ, BBC and other TV stations. Proving that in 2013 the spirit of Alan Lomax or Cecil Sharp is not dead, the SONG COLLECTORS COLLECTIVE is pleased to announce the launch of a brand new online archive of over 250 never before heard traditional songs and stories collected from living ‘Tradition Bearers’. The Song Collectors Collective was set up in 2012 by Mercury Prize nominated singer Sam Lee with the purpose of celebrating those people conserving this rare folk culture within their family and communities in the UK, Ireland & beyond. With the recent launch of the Full English Project by the English Folk Dance and Song Society the world has recently gained access to a vast new repository of manuscript music collected up until the second world war. The SCC seeks to add to this public collection by making available never before heard sounds and films of singers and songs deemed to be extinct in the oral tradition. This material has been recorded mostly from living members of the Irish Traveller, Scots Traveller and English Gypsy as well as wider settled community. The SCC celebrates not just the songs but the ‘Tradition Bearers’ themselves each of whose unique page is full of resource material about the singer or teller with photos and films and inbuilt sounds listening posts. 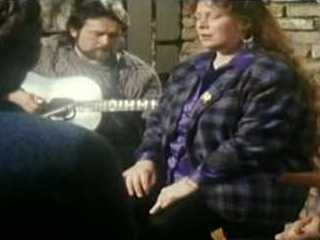 Despite wide assumption within the folk community that all the traditional singers have long passed away and no more material exists within the oral tradition, it has become quite evident there is still a wealth of music and tales unrecorded within the minds of singers who have never before encountered the wider traditional music community. The SCC was established to make sure that on-going documentation of this indigenous folk art is attempted before the last carriers of our native arts passed on. It also seeks to make sure that the communities that have kept this material alive have full and permanent access to their ancestral songs and stories. The Website initially hosts 13 profiles of singers from across the British Isles and Ireland and hosts over 250 songs and stories and over 10 films. Each song is downloadable through the Soundcloud widget. The SCC also hosts a program of workshops, concerts and seminars exploring the on-going art of field recording. Award winning singer/songwriter, Tokyo Rosenthal, was honored by Ireland's The Gathering Clare on 10th May 2013 in Killaloe, County Clare, for writing and recording "Killaloe" which appears on his latest CD, "Tokyo's Fifth". Rosenthal wrote and recorded the tune about the town that his Aunt and Uncle called home in the late 70's and early 80's. "Killaloe and County Clare are some of my favorite parts of the world, said Rosenthal. "I'm glad I could further immortalize this gem of people and land in a song." Monica Meehan, The Gathering coordinator for County Clare said, "2013 is a special year for Ireland: it is the year of The Gathering and there is no better place to be than County Clare." Wet, wet, wet. It hasn’t stopped raining. Wet, wet, wet. The Wet Señor was the name of the Dónal O’Kelly (Benbo Productions) play that some members of Irish group Kíla composed the music for. After a sucessful run of performances around Ireland the play was subsequently adapted for radio, had a name change and became Francisco! The play told the story of a captain of the Spanish Armada Francisco de Cueller, whose ship was capsized off the coast of Sligo. Francisco has had a share of good fortune – the radio play, produced for Ocean Fm has won the Prix Europa prize for Best Radio Drama. And so the tale and journey of Francisco through Ireland’s mythology continues! "Long Gone Out West Blues"
Starbucks has officially picked up the song "I Want to Be Lucky" from British Columbia roots duo Pharis & Jason Romero! This original song is from their 2013 album, "Long Gone Out West Blues." What's gratifying is that Pharis & Jason aren't in this for the fame or glory. They just make amazingly beautiful music (and build awesome banjos) in their forest home in British Columbia. Starting 15th October 2013, you'll be able to hear Pharis & Jason Romero playing in Starbucks throughout the world. Have a listen to the song from their Folk Alley session at Folk Alliance, Toronto in February 2013 @ Youtube.com! Remarkable live performances by Trischka, J.D Crowe and others. Steven Cronin has recently released a new version of The Irish Tin Whistle App, The Irish Tin Whistle Version 2 which is now available on Google Play. It's an app to learn the tin whistle or just to have a pocket tune book on your phone. With a new look and feel and layouts optimized for a better user experience on tablets, version 2 is more educational and more fun. It contains a 30 page tune book, view and play mode, more responsive buttons and is also optimized for tablets so it would make a great teaching aid. 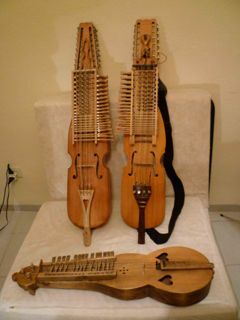 In August 2013, 24 Nyckelharpa Players from 10 European countries met for the project "ENCORE - European Cooperation nyckelharpa - Orchestral Experience - between European folk music and contemporary compositions," among them Didier François, Vicki Swan and Ana Alcaide, in Forlimpopoli, Italy to rehearse new compositions as a nyckelharpa orchestra and to present them in a public concert in the Cathedral of Bertinoro. Composers had been invited in an open call to submit new compositions for this occasion. 15 world premieres could be presented to the Italian public. Have a look @ youtube.com! The CD of the ENCORE concert will be available 1st of November by Verlag der Spielleute and Tongång. I was recently shown true hospitality by Roy and Elaine Harris, at their home in Cardiff. Lovely people. And Roy just happens to be the greatest male a cappella folk singer I ever saw in live performance (and that does not just include Fred Jordan, Bob Davenport, Matt McGinn, Walter Pardon, Will Noble, et al: I am someone who saw A.L. Lloyd sing live, so that is really saying something). In our conversation, the name of Hamish Imlach cropped up. Golly, it is over 17 years since he died! Seems like 6 or 7 years at most. I never quite understood why Hamish had such a cult following, though I could clearly see that he was a good guy with a great personality. And I never really appreciated his signature song (which I used to think he had written, but actually he had not: he had just made the odd tweak to the lyric). Sure, I would marvel at how people sang along with every word, but in all honesty, I thought it a "nothing special" song. More fool me. For how time changes things, because now, with a distance of 17 years since his death, I look at the lyrics of that song with fresh eyes. No … Cole Porter, Johnny Mercer or Lorenz Hart, the writers clearly ain't! But as a social document, this song is priceless. Check out the lyrics: www.wowlyrics.com! I should have perhaps said that before you checked them out, you should realise that the song was written by Ron Clark & Carl MacDougall as their response to the Caribbean spiritual The Virgin Mary Had A Little Baby. It was at that time being sung by floor singers in folk clubs all over Scotland, and soon drove both Clark and MacDougall to despair with its Kumbaya type mind-numbing smoothness! So they decided to make it a bit more raw. And transfer the song from the Holy Land to the most downmarket areas of Glasgow. And instead of the mantra "Glory be to the new-born king", they inserted the words "Cod liver oil and the orange juice". Why those words? ... Easy ... You will recall that the Mary in the Bible was given freebies by three wise men for her baby Jesus. No such freebies for the Glaswegian "Mary" in their song, the poor blighter! Apart from, that is, cod liver oil and orange juice, which were (in those days) the two items that mothers with small babies got free from the British state! Maybe they still get them free. (As a founder member of the King Herod Appreciation Society, I would not really know about such things!) The song is rich in Glaswegian dialect. Words like "cludgie", which was a shared outside lavatory for tenement dwellers... a place that often did not display the bracing fresh air for which Scotland is famous! And the song's lyrics exhibit real dry wit, such as where the narrator asks the girl if she is dancing (meaning "will you dance please?") and she says no I am not dancing, it is just the way I am standing! DC ROCK LIVE, David Hintz's blog on live music in Washington, DC, is five years old.